Property 12: Getaway by the sea,fishing, surfing,swimming and a happy safe place to stay. Property 14: Right On The Beach! Down the lawn onto the sand! Property 21: Small but ideal. Walk to beach. Property 22: Beside The Sea Exclusive waterfront apartment. Property 24: Eva's Cottage - in the middle of everywhere ! Property 25: Only 40 metres to the beach! 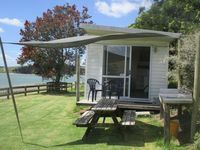 Property 37: This is the one, pristine kiwi bach by the water! Property 41: Relaxed quiet home away from home! 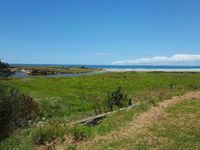 Property 50: Koru Cottage - Pristine and newly renovated.